Hmmm, gratitude...: I fell asleep watching the stars above the southern hills. Now the light is oranging its way up those rocks. A speed boat streaks across the calm sea and cool air comes with its quiet caress on my morning skin. I'm feeling awe at the magical movements in my life. 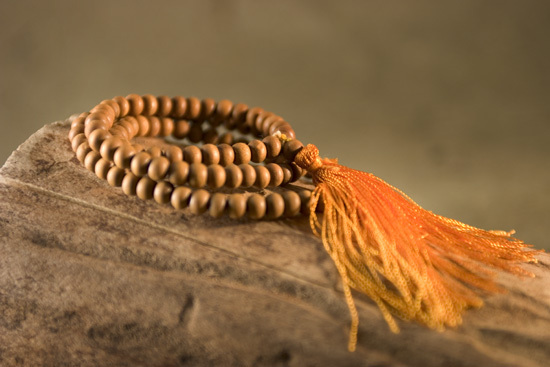 I stood in my doorway waring my string of Mala beads - a gift to mark my initiation - as Rahasya, my teacher, left yesterday after his month's stay, saying: Goodbye Yogini. We had decided that I would start practicing. An hour later I mentioned this to someone on line and they booked a session for yesterday. I love this work. Awakening consciousness and capacity for love and bliss is the most important thing in my life... I am in my element. I am a tantrika... Here it begins. Where will this lead, I wonder. How will this affect me having my own mate and family? I am an adventurer, an explorer of the Heart Land. Wishing so much joy on this leg of your journey. :-)!! Thank you. And to yours.